I got the idea from one of my many transit rides. I called my good friend Steph and a mini girls night was created. With three cocktails and a mystery shot from a friend, the night was grand. The cast was dead on. I particularly got a kick out of Stacey McGunnigie and Kevin Vidal’s characters. Both actors’ mannerisms and perfect timing added that extra little something. The show was a bunch of miniature skits book-ended by a short slightly out of key song. Two particular skits had me in a hiccup inducing laughter frenzy. In one skit, they called out on a member of the audience to be “Akiko.” The poor soul was then asked to pretend he was a sea-creature doing tricks. The participant was a total sport and both the cast and the audience had a blast watching him create dance moves and mimic odd sea-creature sounds. The other skit that had me rolling off my chair was set at a beheading. We were the town’s people watching the poor executioner trying to do his job on a slanted surface at the top of a slanted roof. The victim’s head, played by Vidal, was chopped off early on in the skit. Unfortunately, the head landed on a slanted rooftop, and Vidal’s head convincingly rolled down the ledge as the executioner chased after it. It wasn’t so much the skit that was funny, but the hilarious visual of the head rolling and the poor executioner’s growing frustration. Each moment was highlighted as cast members hid in the audience shouting random comments egging on the executioner. After a wonderful show, the night ended with a donation to a local charity (my apologies for not remembering the name, I blame it on the delightful cocktails). Having just spent the last two hours laughing, how could I do anything but give? Overall, I’d give a well earned 4 out of 5 stars for the show. It was the perfect night to let off some steam and I’m sure I burned some of those carbs too. 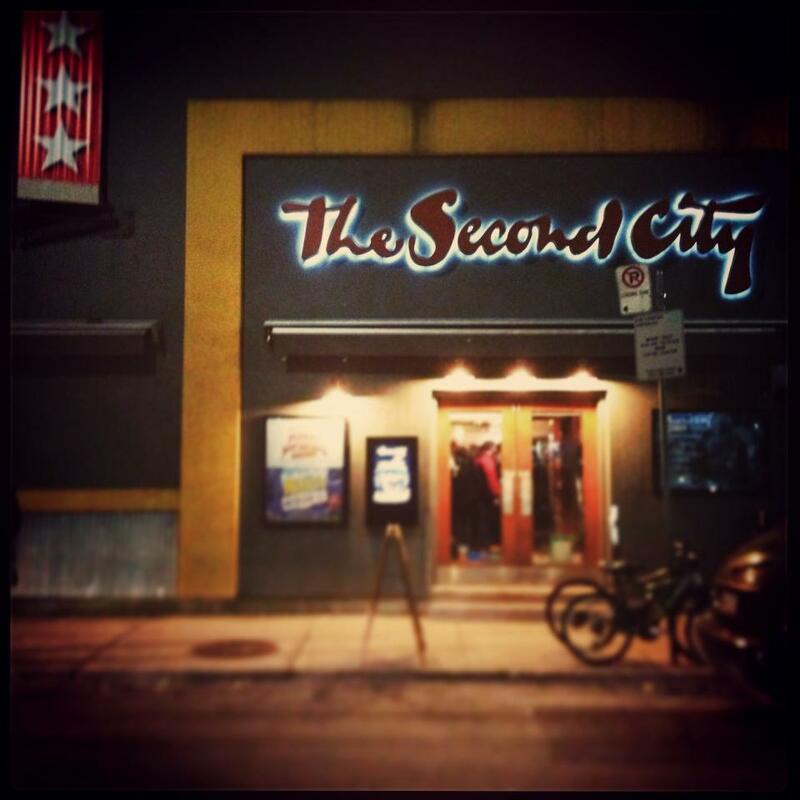 This entry was posted in Arts and Culture, Entertainment and tagged Comedy, Events, Kevin Vidal, Laughter, Second City, Sketch comedy, Toronto, Torontonowhere by hollypost. Bookmark the permalink. Hey! I love this post. Glad you’re back at it, and thanks for the note. 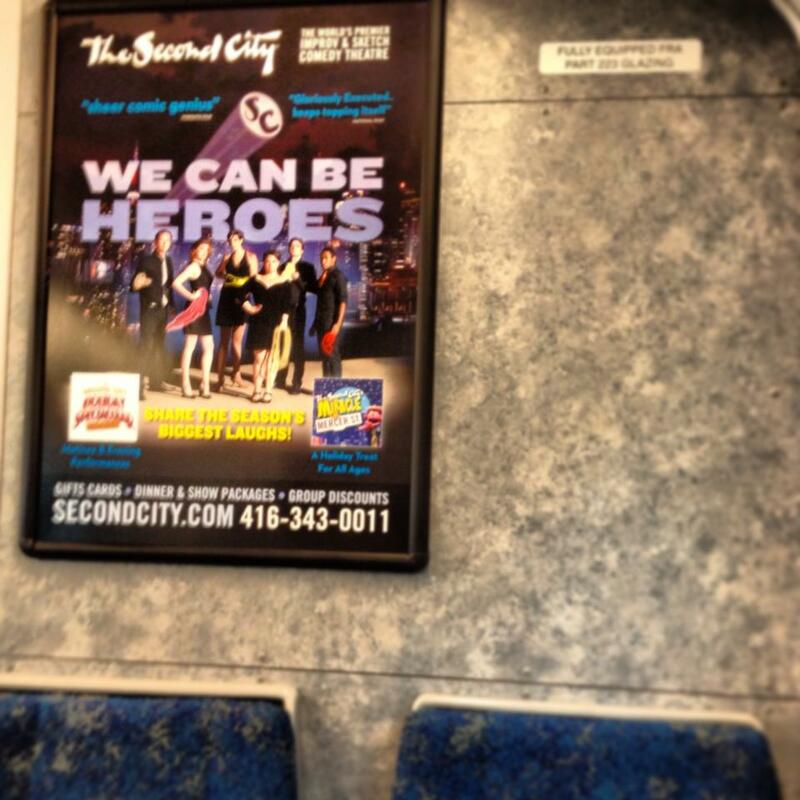 I haven’t been to second city in… Ever., and I think it might just have to be the next date night! Gracias amiga. Thanks for the comment! Honestly, I think it’s great whether it’s for a date night or a girls nights! Just oodles of laughs!!! Perhaps it could be a topic for your next blog entry? Living with beau who now wants to be a sketch comedy actor ;).